REDDING, Calif. (AP) — A Northern California woman who killed a man after she drove head-on into freeway traffic in an apparent suicide attempt has been sentenced to 18 years to life in prison. ANDERSON, Calif. (AP) — Police in Northern California have killed a man they say shot at officers during a freeway chase. The Shasta County Sheriff's Office says a Redding police officer spotted a stolen Honda Civic early Thursday morning, leading to a chase onto Interstate 5. At one point, the car stopped and a woman got out before the chase resumed. REDDING, Calif. (AP) — Police in Northern California are investigating the death of an 11-month-old boy who was admitted to the hospital with seizures and appeared to have a serious head injury. Redding Police Sgt. Todd Cogle says the child was admitted to Mercy Medical Center on October 16 but after his conditioned worsened he was transported to U.C. Davis Medical Center, where he died two days later. Autopsy results are pending. REDDING, Calif. (AP) — A man who stole a trailer from a family fleeing a devastating Northern California wildfire has been sentenced to five years in prison. The Shasta County district attorney's office says 20-year-old David Fuentes was sentenced Wednesday for burglary, unlawfully taking a vehicle, looting and probation violation. SHASTA LAKE, Calif. (AP) — A U.S. Bureau of Reclamation crew has begun testing the strength of Shasta Dam's concrete as part of preparation work to raise its height by more than 18 feet (5.5 meters). REDDING, Calif. (AP) — Officials say a Northern California wildfire that closed down a highway has tripled in size, prompting evacuation orders. 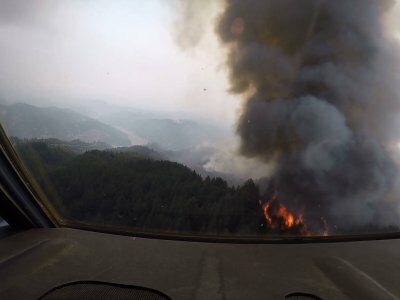 The blaze in Shasta County was reported during the afternoon and within hours had charred nearly 8 square miles (about 21 square kilometers) of brush and timber in the Shasta-Trinity National Forest about 200 miles (320 kilometers) north of San Francisco. A wildfire that shut down a major interstate freeway in rural Northern California is racing through timber and brush but authorities say it doesn't threaten any large communities. PALO ALTO, Calif. (AP) — A volunteer pilot was killed and a mother and daughter he was transporting to a Northern California hospital were injured when their small plane crashed near the Palo Alto airport, authorities and the plane's operator said Tuesday. Palo Alto Deputy Fire Chief Geoffrey Blackshire said the single-engine Mooney M20 was trying to land when it crashed in a pond Tuesday. He says the plane had reportedly flown in from Redding. A relative has identified a mother and daughter who were injured when a small plane crashed while taking them to a California children's hospital so the daughter could have surgery. Forty-nine-year-old Nancy Dellamaria of Redding and her daughter, 16-year-old Chloe King, remain hospitalized. There's no immediate word on their conditions. REDDING, Calif. (AP) — A massive California wildfire that destroyed more than 1,000 homes and claimed eight lives has been fully contained. REDDING, Calif. (AP) — Fire crews have made gains against a wildfire that has been burning for more than a month in Northern California, where it destroyed nearly 1,100 homes and killed eight people. Authorities are calling on residents in Glenn and Colusa counties in Northern California to evacuate as a fire there continues to grow. 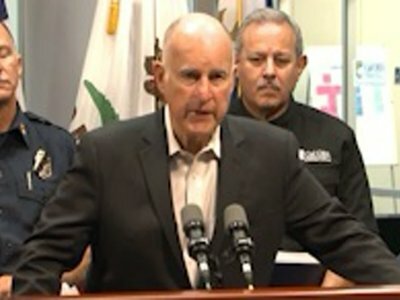 Cal Fire issued the evacuation order Saturday night to people who live in several parts of the counties, including an area just east of the boundary of Mendocino National Forest and all areas west of Bear Valley Road to Highway 20. Authorities have ordered more evacuations in Northern California as fires continue to advance. The orders were issued Thursday night for an area along the boundary of Mendocino National Forest and along portions of the border between Lake and Colusa counties. REDDING, Calif. (AP) — Among the refugees from the massive and deadly wildfires in Northern California were some hard-shelled survivors: 80 tortoises. Ken and Kate Hoffman, who run the Tortoise Acres Adoption Center in Anderson outside Redding, evacuated on Saturday in the midst of the wildfire that has killed six people and destroyed more than 1,000 homes. The couple opened the rescue center and sanctuary in 2016. Forecasters say the threat of major fires will remain high across much of California and the northwestern corner of the U.S. throughout August and September. UPPER LAKE, Calif. (AP) — Firefighters are battling a massive blaze in Northern California that has torched more than 1,000 homes in and around the city of Redding. The California Department of Forestry and Fire Protection says that hundreds of barns, warehouses and other buildings have also been destroyed by the fire. A fire official says a Northern California wildfire is now the ninth most destructive in the state's history.